National property database Realtors Property Resource LLC has signed up one of the biggest multiple listing services in the country as a partner, plugging a major gap in RPR’s coverage and potentially boosting its ability to generate revenue. 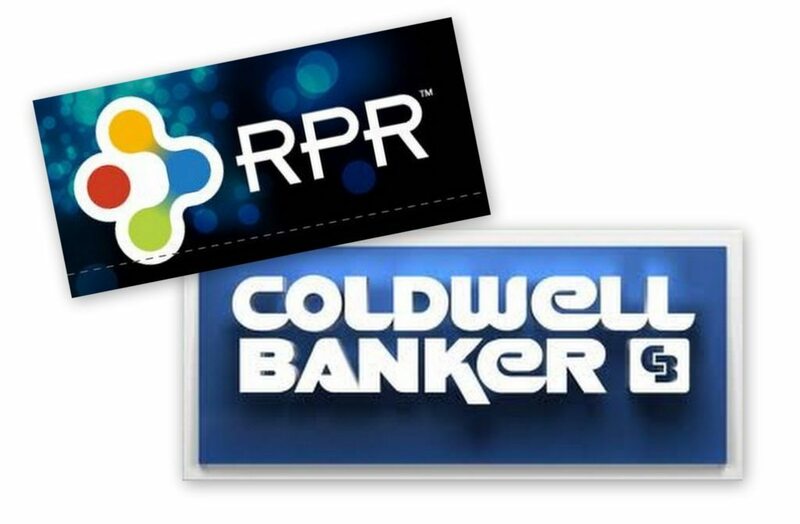 Today’s announcement that Lisle, Ill.-based Midwest Real Estate Data LLC (MRED) will provide listings data to RPR comes just days after the National Association of Realtors subsidiary announced it had acquired a powerful ally in real estate franchise giant Coldwell Banker. RPR collects national, regional and local data that allows users to access property and market trend information for more than 150 million U.S. properties. While all NAR members have access to RPR, in markets where RPR has partnered with MLSs, users also have access to active and sold listing data through RPR that can be used to generate reports and property valuations. As of last week, a total of 550 MLSs, associations and commercial information exchanges representing 75 percent of Realtors had licensed their data to RPR. By the end of this year, NAR will have spent $76.5 million on RPR, and the trade group has earmarked $18.5 million a year to the venture for the next three years. RPR has struggled to generate revenue, in part because some major MLSs had not agreed to feed their listing data to RPR. Some, including MRED, had agreed to license their data on an exclusive basis to a rival initiative from CoreLogic, Partner InfoNet, which provides participating MLSs with a cut of the revenue generated from analytics sales. That meant RPR, which does not share revenue with MLSs, could not achieve the national coverage required by the banks and federal agencies it hoped would purchase the data analytics that the company’s business model depends on. As of November 2012, RPR had little or no coverage in seven of the 20 major markets covered by the Standard & Poor’s Case-Shiller 20-city composite: New York City; Chicago; Cleveland; Dallas; Las Vegas; Portland, Ore.; and Seattle. Since then, RPR has made headway in two of those markets, signing up 11,000-member RMLS in Portland in June and MRED, which has nearly 40,000 members, this week. MRED claims to be the biggest MLS in the country in terms of listings inventory, which currently stands at 70,000-75,000 listings. Pomona, Calif.-based California Regional MLS, which partnered with RPR in 2011 and also supplies listing data to Partner InfoNet, claims more than 71,000 subscribers with 34 Realtor associations. The California Regional MLS’ public-facing website, Homeseekers.com, has information on about 33,000 listings. Neither RPR nor CoreLogic — which in May reported that Partner InfoNet was getting listings data from 100 MLSs — require that MLSs provide data on an exclusive basis, although CoreLogic pays a more favorable revenue split to MLSs that sign exclusive agreements. MRED’s data licensing agreement with CoreLogic’s Partner InfoNet remains in place, but is no longer exclusive, MRED CEO Russ Bergeron told Inman News. When MRED’s exclusive agreement with CoreLogic was announced in mid-2011, Bergeron had said he hoped to participate in both Partner InfoNet and RPR, and that negotiations with RPR continued. Bergeron’s stated goal at the time was to feed listing data to RPR, but keep receiving the favorable revenue split CoreLogic reserved for its biggest exclusive providers. Today, Bergeron said that was still his goal, though he had yet to talk to CoreLogic about it. “We would have no problem continuing (the agreement). They at least actually generate revenue for us,” he said. “Our revenue from InfoNet was not a huge number, so it didn’t really have a huge impact for our bottom line, and anything that we take in goes back into the company anyway. (It) allows us to keep our costs down as much as possible,” he said. Regarding the yearslong negotiations with RPR, Bergeron said a major sticking point for MRED had been how broker permission would be obtained to license and repurpose listing data. MRED has had a long-standing “opt-in” policy for brokers, but RPR required an “opt-out” policy. Then, he said, two things occurred at the same time: RPR agreed to an opt-in policy for MRED’s brokers, and MRED’s “Preferred Unit Owners” — 75 broker-shareholders of MRED — decided they would allow an opt-out policy. “Some of the brokers who are affiliated more with organized real estate pushed hard for opt-out. They’re more organized and more vested in the NAR and IAR (Illinois Association of Realtors) side of the business. They lean more toward associations and not as much toward MLS even though they are members and owners of MRED,” Bergeron said. The opt-out policy ultimately adopted is theoretically better for RPR, he said. “They are figuring people, once it gets up and running, won’t take that action. We’ll be polling our brokers during the implementation phase. We’ll know before we go live how many have decided to opt out,” Bergeron said. He added that a presentation from RPR CEO Dale Ross won the brokers over. “(He) demonstrated that they had the best interests of the brokers at heart, or at least of Realtors at heart,” Bergeron said. The brokers were concerned about what would happen to MRED’s listing data after it went to RPR, particularly when it came to RPR’s analytics sales. They weren’t sure how RPR’s “Match and Append” product, in which third parties give RPR a list of properties and RPR flags the status of those properties, worked, he said. “But what Dale assured them was that the data doesn’t leave RPR and (Match and Append) was only for distressed properties,” not all for-sale properties, Bergeron said. The agreement with RPR is for only one year, he said. Bergeron said in November that he had heard usage of RPR was “very, very low” and today said that that hadn’t changed, but he expects MRED to be a good “test” case because the MLS is very good at promoting products and services. There has “not been a huge demand” for RPR among MRED members, he said, given that the MLS already offers a myriad of analytics tools, including CoreLogic’s Realist and Data Co-Op, as well as another data licensing initiative, a search platform called “Find,” from Realtor.com operator Move Inc. The agreement with RPR will benefit members in that no matter what tool they are looking for, it will be available, Bergeron said. “The difference I see is that by having multiple tools you’ll be able to differentiate yourself. If we only had RPR, (everyone) would look identical,” he said.